A square shape full of wonderful diamond inspired pattern all around. 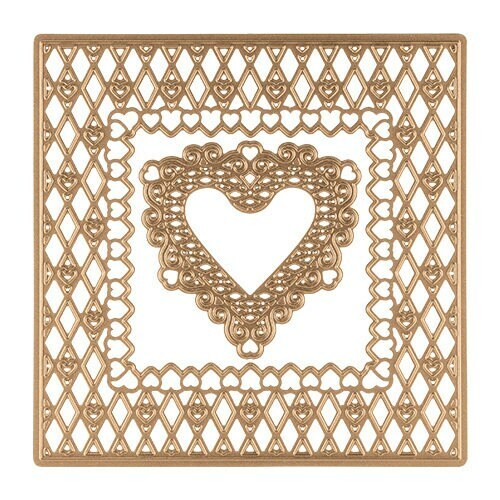 Perfect size for that 6 x 6 card base or make a frame. 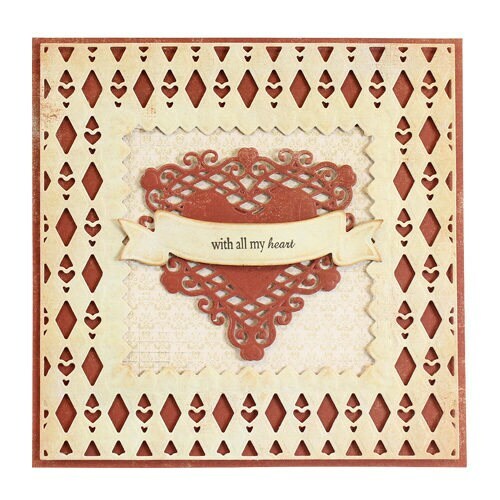 Also included is a beautiful heart shape that creates a sweet accent. 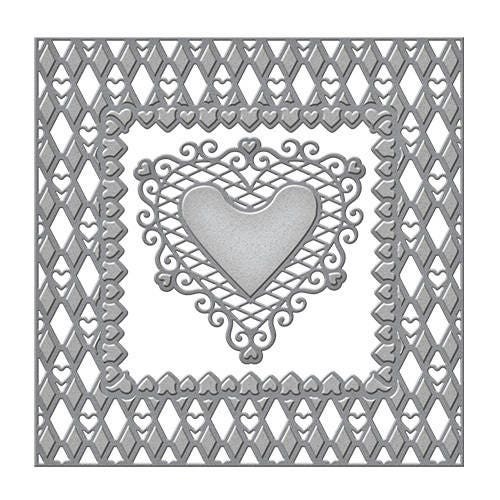 Spellbinders® Shapeabilities® Decorative Frames cut, emboss and stencil with a single die template.